If you feign something like a sickness or an attitude you pretend and try to convince people that you have it, even though you really do not. Someone who is perfidious is not loyal and cannot be trusted. “I knew that he was a mountebank or lying fake, for he was too sly to be real!” my grandmother snapped after Geoffrey had left me at the marriage altar. I was too stunned to speak, but my maid of honor rose to my defense, “How could Gwen know that Geoffrey was a cheat or mountebank? He seemed so loving!” I stood sadly, abandoned among the flowers and cake, but I guess that it was better than being married to a dishonest, tricky mountebank who was only trying to steal my money. Quiz: Try again! What is a mountebank? A person who has a secret life. A clever person who cheats people. A person who abandons others. Mountain Bank That mountebank was trying to sell me some real estate on top of that very tall mountain; the mountebank said that if I put a bank on top of that remote mountain then everyone would come to it because it would be the only one in the immediate area! 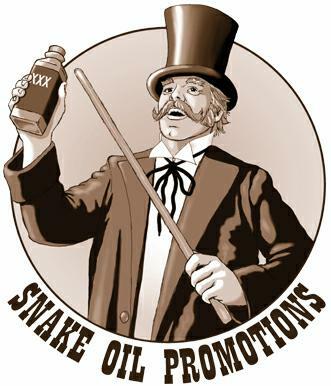 A mountebank was a clever trickster who would “mount a bench” so that a crowd would gather round, at which point he would hawk nostrums or snake oil (fake medicines), employing a “toady” who would eat a toad (once considered poisonous), drink the supposed wonder drug to ward off the poison, and declare himself cured; great sales of the mountebank’s miraculous potion would then follow. 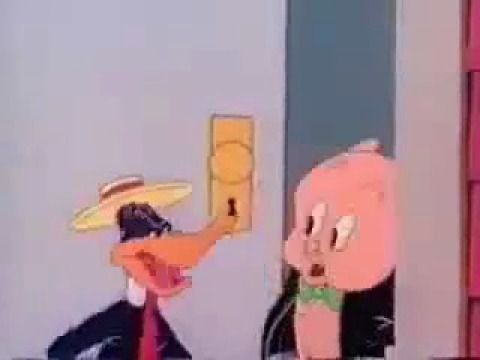 Looney Tunes Daffy the mountebank is trying to sell Porky a worthless insurance policy.